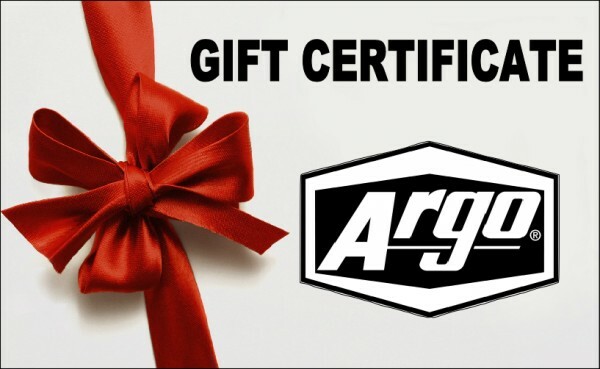 A great gift option when your not sure what Argo Parts or Argo Accessories to purchase. The electronic Gift Certificate is e-mailed to the recipient and a special code is attached to the e-mail that links to the gift bearers name in our system. When checking out all the gift bearer needs to do is enter that code in the payment area. If a code is ever lost we can look it up by their name. Gift certificates are valid on this website only and never expire.